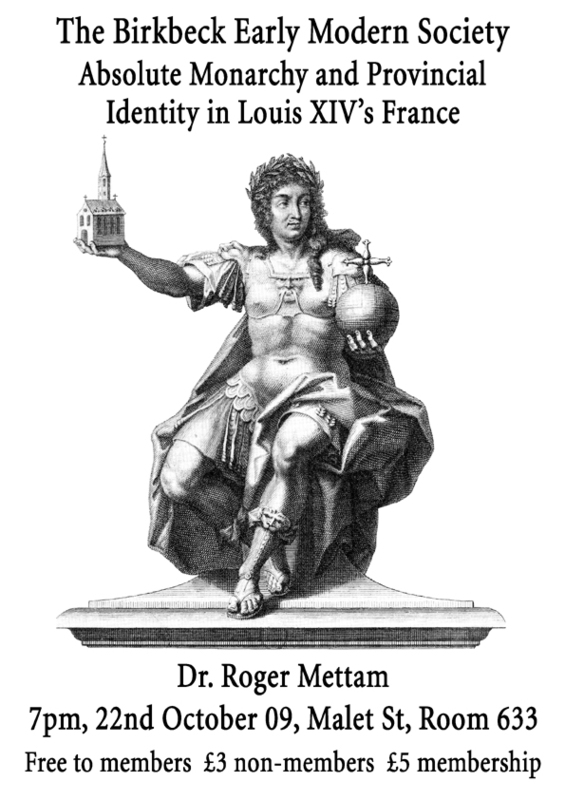 Dr Roger Mettam, ‘Absolute Monarchy and Provincial Identity in Louis XIV’s France’, 7 pm, 22 Oct 09, Malet St, room 633. You are warmly invited to our first event of the new academic year. 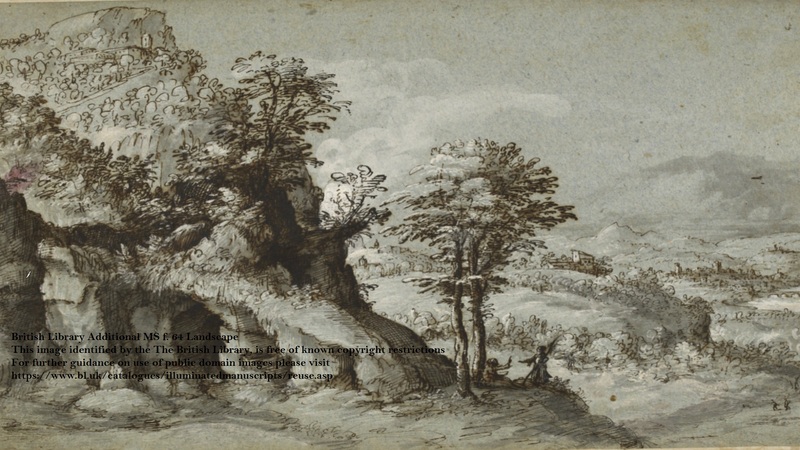 Dr Roger Mettam is a distinguished historian of early modern France, the author of Government and Society in Louis XIV’s France (1977) and Power and Faction in Louis XIV’s France (1988). His work has transformed our understanding of absolutism, and this promises to be a very memorable evening. Please note that this event starts at 7 pm rather than our usual 6.30 pm. Membership remains a bargain at £5 for the year, and you can join or re-join at any of our events.